David Nelson is dedicated to making each trip unique and special, and meet the needs of each traveler. Here are some of his guiding principles for In Mozart’s Footsteps. Dr. Nelson will personally plan and lead each trip. He will be with the group at all times (including hotels and restaurants) and participate in all group activities. Each trip will be unique because of different performances, special exhibitions, and the desires of specific group. 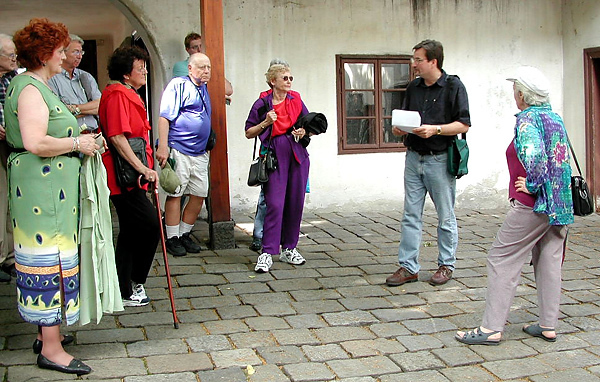 When you travel with In Mozart’s Footsteps, you will not be on a typical generic tour. The cities chosen to visit are those with wonderful musical histories. To make the best experience for everyone, we will keep the size of our trips relatively small, usually between 12 and 20 travelers. Custom trips can be larger of smaller. Our trips are structured so travelers of all levels of musical and travel experience will have a great time. There will be something of interest for the musical layman as well as the professional musician. Dr. Nelson strives to create trips that work for all ages. He has literally had 18- through 80-year-old travelers on the same trip, and it worked for everyone. Our guide in Prague is Milos. He’s been featured on the Travel Channel on cable TV. Each trip will have a walking tour led by an expert local guide to orient you to the city and its history. There is always a good balance between organized and free time so that you can explore on your own. Should you need help planning your free time, Dr. Nelson can always suggest sights to see and give you directions to get there. Dr. Nelson will supply maps and help everyone figure out the public transportation systems. Each trip will attend at least two excellent musical performances by major ensembles or soloists. We will not attend the typical concerts geared for tourists! Dr. Nelson will also spend a little time talking about the music before we hear it. 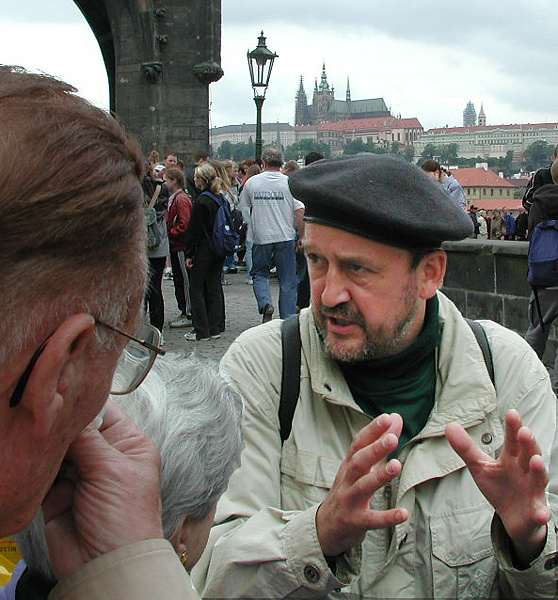 People tend to walk a lot in European cities, but “low-walking” options are possible to arrange. Please click here to read more about this on our Terms and Conditions page. In Mozart’s Footsteps will choose delicious, well-proven restaurants with local cuisine. And we will have the option for some “non-local” meals (Italian, Greek, etc.) when we need a change of pace. The hotels are part of the European experience, and Dr. Nelson chooses them for their excellent service, comfort, location, and local character. He has stayed in all the hotels in past trips. If you want a customized tour for a certain group, In Mozart’s Footsteps will work with you so we can craft an itinerary and price that fits your needs. Contact us for more information.